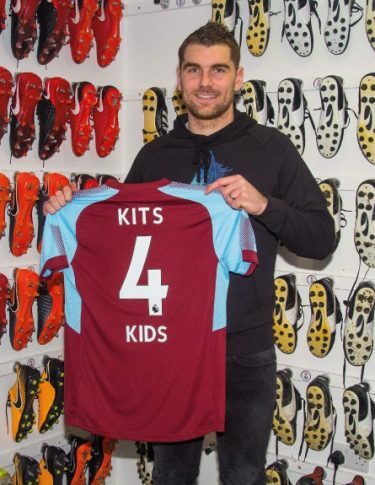 Wales and Burnley striker Sam Vokes, who studied at Brockenhurst College, is spearheading a campaign to send old football kits to street children in Ghana and Kenya. Brock has also shown its support by donating to the initiative named ‘Kits for Kids’, which was launched by Burnley’s official charity. Half of this year’s donations will go to Children’s Aid International, which was set up by Sam’s grandparents to help orphaned street children in Nakuru, Kenya. The other 50% will be taken to a community in Ghana where Burnley’s charitable arm is helping develop new classrooms with UK volunteer travel organisation African Adventures. “I also know they love football as much as we all do back here at home, and what they have in terms of playing equipment is minimal, so it would be great to get some footballs out there too,” he added.